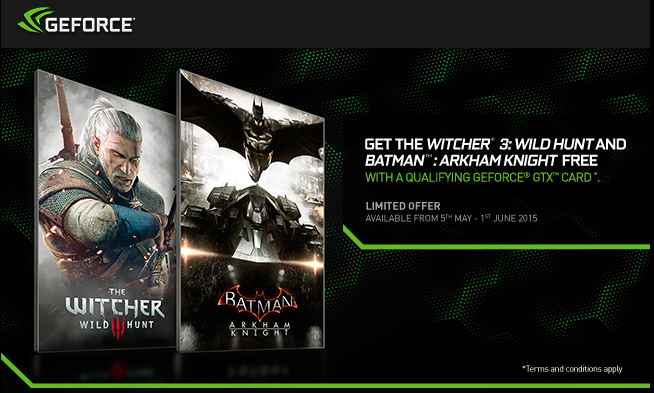 Free Witcher 3 & Batman with GTX 970 & 980 Until June! 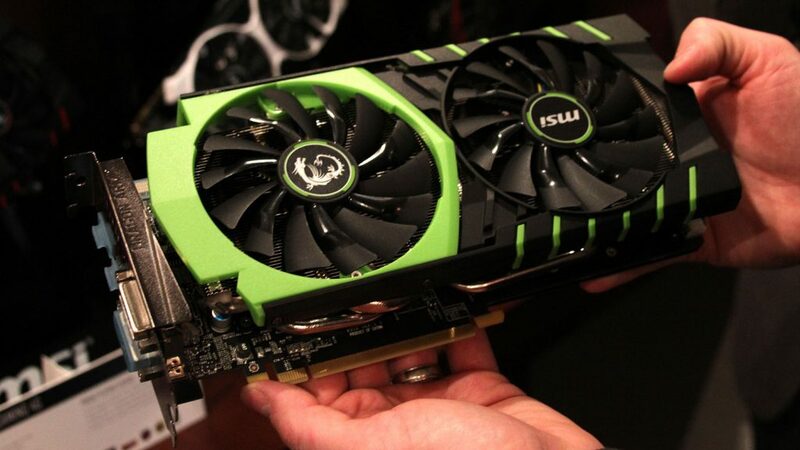 Nvidia unveiled their latest cutting edge GPU cards the GeForce GTX 980 and 970 late last year and they were a massive hit among the pc gaming community despite a few hiccups along the way. With suppliers running out quickly due to their demand and popularity, how truly great are they? Well, both the GeForce GTX 980 and 970 are based on Nvidia amazing 10th generation Maxwell chip architecture, which are designed to overcome some of the most complex lighting and graphics challenges in visual computing, something gamers will want to hear. The new GeForce GPU cards also come fitted with Nvidia’s new Voxel Global Illumination technology, which Nvidia claims essentially is a technique that will revolutionise graphics by offering real-time dynamic indirect lighting, including diffuse and specular lighting and reflections. Furthermore with the GeForce GTX 970 and 980 series Nvidia have introduced Multi-Frame Anti-Aliasing, which they claim will offer faster, better quality anti-aliasing by spreading sample patterns across pixels through both individual and multiple frames. Alongside this Nvidia announced another new feature in Dynamic Super Resolution, which renders graphics at resolutions of up to 4K and then scales them back down to the monitor’s native resolution, resulting in a higher-fidelity experience even when not using a high-end 4K gaming monitor. As you can tell the new 900 series is built with high performance and lower latency in mind and offers gamers improved speed and quality of graphics. 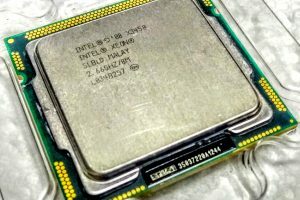 Price and budget is also a factor when buying a GPU card and the Nvidia GeForce GTX 970 is expected to be affordable with a price of £259, however the more powerful GTX 980 is aiming at the upper end of the PC gaming market and is a bit pricier at £429. However, if you weren’t sold already, Nvidia are currently offering a very special deal where you get a free copy of Witcher 3 and Batman Arkham Knight, which are two of the most anticipated games out this year. This is an insane deal from Nvidia but you’re going to have to take advantage of it quick as this deal is only available till the 1st of June 2015. For more info or If you’re interested in buying gaming PC/Laptops, keyboards, hardware and all essential components like Nvidia CPU cards head over to box.co.uk/.